Two out of three communication professionals have followed the debate about fake news, but only 12 percent of the affected organisations have established advanced routines in dealing with them. And while 90 percent of the surveyed departments and agencies deliver information to decision-makers, the provided reports differ. How do you compare to your peers in dealing with fake news and providing information? Start the survey and find out. It is easy and fun to use, takes just a few minutes and is totally anonymous. On the first page, we ask you for some information on your work place, position and country to make your answers comparable to the results of those of the latest European Communication Monitor study. If you want to have your name and the name of your company on a certificate with your personal score, please leave it here. None of this information will be stored. After completing the survey, you‘ll get an explanation of your results and your personal score. A score of 50 represents the average result of communicators across Europe. A score higher than 50 means you are better in comparison, a score lower than 50 means your results are worse. The European Communication Monitor (ECM), together with its affiliated surveys Latin American Communication Monitor (LCM), Asia-Pacific Communication Monitor (APCM), North American Communication Monitor (NACM), is part of the Global Communication Monitor series, the largest regular global study in the field of strategic communication and public relations worldwide, with a longitudinal participation of more than 30,000 practitioners. We are pleased to announce that the European Communication Monitor 2019 survey is now open and will be available until March 8 at http://www.communicationmonitor.net. We need your help. The European Communication Monitor is led by professors from renowned universities within the framework of EUPRERA together with the European Association of Communication Directors (EACD), supported by PRIME Research – A Cision company, and Fink & Fuchs. The survey takes between 10 and 12 minutes and seeks answers from PR professionals working in communication departments and agencies (not from academics). Please forward it to friends and colleagues in the profession. All participants are entitled to a full report of the results available this summer and be entered into a prize draw for 5 Kindle Paperwhite E-Readers. 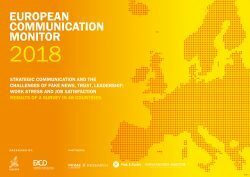 The European Communication Monitor, now in its 13th year, addresses highly debated topics such as trust and authenticity in public relations, how Artificial Intelligence impacts communication, as well as new forms of content creation and distribution. The survey will identify characteristics of excellent communication departments and explore commonalities and differences across Europe. Country-to-country comparisons and benchmarks of different types of organisations (private and joint-stock companies, non-profit, governmental, agencies, etc.) will make the results relevant for everybody in the field. The study is undertaken for scientific purposes, in an attempt to map out the future of the communication profession. You will receive a report and the EUPRERA community has full access to the data. Your information will not be used for any other purpose. All information is submitted anonymously. We thank you for your input and participation! 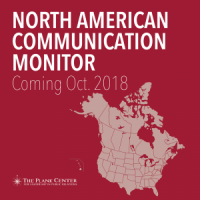 The North American Communication Monitor (NACM) is the first survey of its kind in North America, supported by The Plank Center. Findings have been presented in November, tracking the trends in fake news, issues management, leadership, work stress, social media skills and job satisfaction. The NACM becomes part of the Global Communication Monitor series, the largest regular global study in the field of strategic communication and public relations. The series, initiated and led by Ansgar Zerfass with renowned PR professors across the world, has analysed trends in the field for more than a decade and covers more than 80 countries across Europe, Latin-America and the Asia-Pacific region. The global series of studies on the status quo and trends in strategic communication initiated by Professor Ansgar Zerfass from Leipzig University has been expanded by an important building block. The North American Communication Monitor now examines developments in the United States of America (USA) and Canada every two years. It complements the European Communication Monitor, which has been conducted annually since 2007, as well as the Asia-Pacific Communication Monitor and Latin American Communication Monitor, which are also conducted every two years. The studies use the same methodology and largely identical survey instruments, which are developed and coordinated in Leipzig. The NACM is conducted and funded by the Plank Center for Leadership in Public Relations at the University of Alabama. In the ever-changing world of artificial intelligence, big data and “fake news,” The Plank Center for Leadership in Public Relations seeks to better understand the rapid changes in the communication industry and to explore the status quo, qualities and trends of communication management in North America. The survey addresses topics including “fake news” and how to tackle it, how communicators provide insights for decision-making, as well as leadership performance, job satisfaction and personal stress among communication professionals in the United States and Canada. Characteristics of excellent communication departments will be identified and benchmarked against results from other key markets in Asia-Pacific, Europe and Latin America. The NACM is led by five professors from universities affiliated with The Plank Center, including Drs. Bruce K. Berger and Karla K. Gower, The University of Alabama; Drs. Juan Meng and Bryan H. Reber, The University of Georgia; and Dr. Ansgar Zerfass, from Leipzig University in Germany. “Not only will we have a better understanding of the communication industry in North America, we will have a greater opportunity for global comparison on issues regarding integrity and trust in what we see, hear and read,” said Karla Gower, Director of The Plank Center. The NACM becomes part of the Global Communication Monitor series, the largest regular global study in the field of strategic communication and public relations. The series, initiated and led by Zerfass with renowned PR professors across the world, has analyzed trends in the field for more than a decade and covers more than 80 countries across Europe, Latin-Americaand the Asia-Pacific region. Almost 35,000 communication professionals worldwide working in diverse organizations have been surveyed. Comparative data will be made available for key markets worldwide, e.g. China, India, Germany, France, Italy, United Kingdom, Australia, New Zealand, Brazil, Mexico, Canada and the United States. “The NACM is a continuation of the Plank Center’s goal to build a research-based foundation of knowledge regarding the values, qualities and dimensions of leadership in public relations,” said Bryan Reber. In addition to this study, the Center has conducted more than 35 research studies in areas of public relations leadership, mentorship, and diversity and inclusion. Empirical work for the NACM has already been completed. Results will be released in October 2018 in Chicago and will be available online afterwards. Berlin, June 13th 2018 – Results of the European Communication Monitor 2018 have been published today at the European Communication Summit in Berlin. 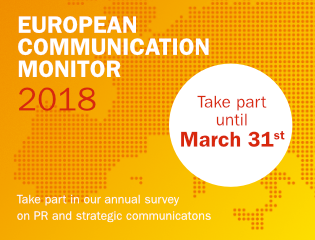 This year’s edition of the largest survey of the communications profession and trends in strategic communication is based on almost 3,100 respondents from 48 European countries, providing valuable insights for public relations, corporate and political communication. A PDF report with full results from the study as well as the methodology is available at www.communicationmonitor.eu. Besides key trends like fake news, the survey explores communications’ contributions to organisational success as well as the work environment for communication professionals in Europe. Work engagement and stress, job satisfaction and its drivers as well as the status of leadership in communication units are explored with additional detailed analyses for 22 countries. Comparable global data for North America, Latin America and Asia-Pacific make the Global Communication Monitor series even more relevant. Despite the persisting debate about fake news across Europe (agreed upon by 55.8 per cent of the respondents), this does not filter into the day to day experiences of communication practitioners (24.4 per cent). The most affected by fake news are government-owned, public sector and political organisations (44.6 per cent have been affected at least once in 2017/2018). 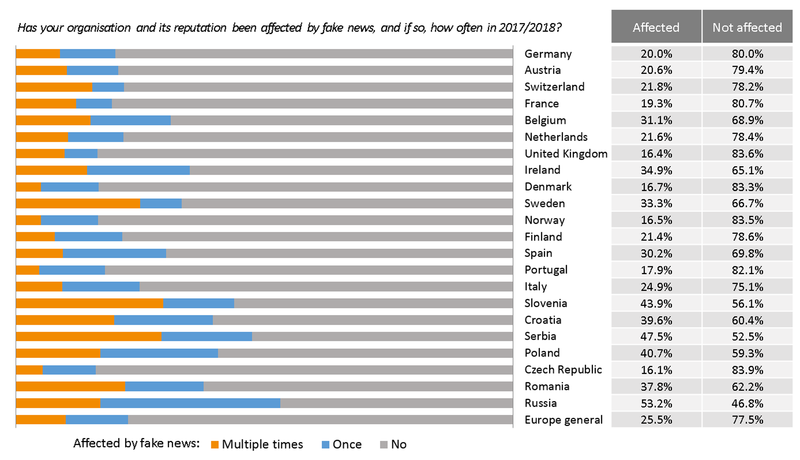 Professionals based in Russia report the strongest impact of fake news on their organisations (53.2 per cent), followed by Serbia, Slovenia and Poland (all more than 40 per cent). The sources of fake news follow the origins of the debate with social media being the main source of misleading content (81.3 per cent), but mass media (59.6 per cent) can also originate this form of information. Most communication departments and agencies are not sufficiently prepared to identify fake news: Only 12 per cent of affected organisations have established advanced routines. In today’s digital and mediatised world organisations face a plethora of rapid-fire information that is ubiquitous. Hence, it needs algorithms for data processing and interpretations. 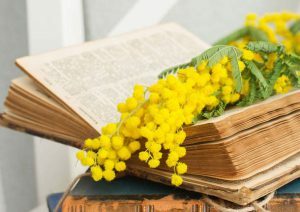 Collecting and preparing such information as well as keeping decision-makers and (internal) clients up to date with useful information is a core task for communicators and helps them to fulfil their role. The results of this year’s monitor show that providing information to decision-makers is indeed a common practice across Europe. For 64.7 per cent this is a core task that helps to gain recognition for communications (68.0 per cent agree) and it offers great opportunities for positioning their unit (56.8 per cent). By far the most important and most frequently provided information by communication specialists is about news in ‘gate kept’ media (mass media with professional journalists) and social media. Media monitoring reports and curated news briefings are provided regularly by respectively 74.6 and 59.6 per cent of the communication departments and agencies. However, only monitoring reports about the published discourse in print outlets (newspapers, magazines) are provided on a daily basis in the majority of organisations (54.8 per cent). Daily insights on what is going on in social networks or on television are delivered less often (by just over 36 per cent). 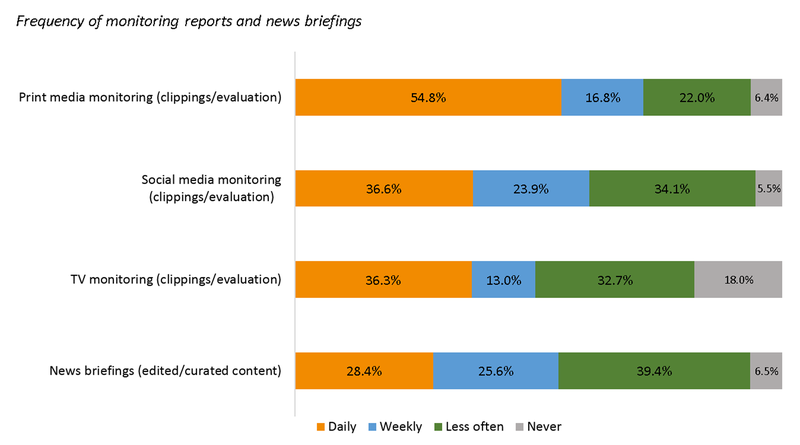 Only 28.4 per cent of the communication departments and agencies in Europe provide executive news briefings on a daily basis, i.e. advanced types of reporting with edited or curated content that delivers deep insights for decision-makers. Longitudinal comparison with previous ECM surveys in 2010 and 2014 reveals a slow decline in overall job satisfaction. 28.9% of the surveyed practitioners would like to change their current employer within the next twelve months, and 5.2 per cent want to move out of the communications sector all together. However, three quarters of the communication professionals in Europe are satisfied with their job. Overall satisfaction is the strongest in consultants or agencies (79.0 per cent) and in countries like The Netherlands (86.2 per cent), Finland (81.5 per cent) and Germany (81.2 per cent). The strongest drivers for job satisfaction are interesting and manifold tasks, career opportunities and appreciation by superiors and (internal) clients. Communication professionals are often expected to be high performers in a hard-working culture. No wonder that four out of ten communication professionals (39.0 per cent) in Europe feel tense or stressed out during their working day. At the same time 25.0 per cent do not have the appropriate resources to manage this experience. A cluster analysis reveals that one in four (27.9 per cent) has serious stress problems (reporting stress and not being able to manage it). Following this theme, Portugal, France and Austria report the largest proportion of communication professionals with serious stress problems. The most important drivers of work stress are the need to be constantly available outside working time to access emails and phone calls, too heavy a work load, the lack of opportunity for growth or advancement, information overload, as well as long working hours. The latter is most significant for professionals working in consultancies and agencies. A supportive work environment enables practitioners to exploit their competencies and accomplish organisational goals. The study measured the status in communication departments and agencies across Europe by assessing organisational culture, trust in the organisation, leader performance, overall job satisfaction, and work engagement. Advanced statistical analysis shows that engagement is the key factor that links strongly to all other aspects. Engagement can be influenced by leaders, so in the end leadership makes the difference: educating, mentoring and promoting leadership skills should be a priority in the field. Enhancing leadership performance, however, is a continuing challenge for the profession. The study reveals that every fifth communication leader (19.2 per cent) lacks leadership skills. A lack of performance at higher levels is clearly visible – especially when noting that subordinates rate the strategic involvement, ethical orientation and knowledge of the highest-ranking communicators clearly worse than the leaders themselves. These are some of the key results found in the 12th annual European Communication Monitor (ECM), a survey based on interviews with 3,096 communicators in 48 European counties. The monitor was launched today in Berlin. A full report is available online at www.communicationmonitor.eu. The ECM is annually organised by the European Public Relations Education and Research Association (EUPRERA) and the European Association of Communication Directors (EACD), supported by premium partner PRIME Research, a member of the Cision Group, digital communications partner Fink & Fuchs, and media partner Communication Director magazine. The communication monitor series is known as the most comprehensive research in the field worldwide covering more than 85 countries – the European survey is complemented by bi-annual surveys in other regions like Asia-Pacific, Latin and North America. A free PDF report with full results as well as a video featuring highlights from the study is available at www.communicationmonitor.eu. After a decade in Brussels, the European Communication Summit is back with a new home in Berlin! This year, the flagship event, scheduled on June 13-14, will bring cross-industry leaders and communications experts together to discuss the transformation of community and communications across Europe. Practitioners working in communication management and public relations across Latin America will participate into the Latin American Communication Monitor (LCM) 2018-2019. The survey is now available on http://latincommunicationmonitor.com and will be open until June 30. The Global Communication Monitor series are recognized as the larger studies about the profession in the world and have been identifying trend in the profession for more than a decade. Its annual reports provide invaluable insights for leaders in the field. Additionally this year also marks the start of the next exciting phase for this joint endeavour of academia and practice. For the first time data collected in Europe, Latin America and Asia-Pacific will be completed with data from the rest of North America (US and Canada). With more than 80 countries covered and 50,000 participants to date, the Global Communication Monitor series is the only truly global study of strategic communication completely reliable in terms of scientist transparency. This year’s monitor addresses highly debated topics such as the challenges of fake news and how to tackle them, how to provide information for decision-makers or leadership in public relations. The survey will identify characteristics of excellent communication departments and explore commonalities and differences across Latin America. Results will be relevant for the whole industry because comparisons Country-to-country comparisons and benchmarks of different types of organisations (companies, non-profits, governmental, agencies, etc.) will make the results relevant for the whole industry. Participants could share their experiences and support his country to be represented in the global comparisons. Every participant will receive a free video-resume of results and will participate in a price draw for an inscription to the II Iberoamerican Comunicación Summit that will take place in Madrid in 2019. The Latin American Communication Monitor (LCM) is organised by the European Public Relations Education and Research Association (EUPRERA) with the strategic partnership of Fundacom. The study is leads by Dr. Ángeles Moreno, University Rey Juan Carlos (Spain) and Juan Carlos Molleda, University of Oregon (US) with Dr. Alejandro Álvarez-Nobell, University National of Cordoba (Argentina) as new Executive Director. It is conducted with the participation of twenty universities in Latin America, United States of America and Spain. The European Public Relations Education and Research Association (EUPRERA) is an autonomous organisation with nearly 500 members from 40 countries interested in advancing academic research and knowledge in strategic communication. Several cross-national and comparative research and education projects are organised by affiliated universities. In order to spread new methodologies and research results, EUPRERA organises a highly regarded Annual Congress each autumn in collaboration with a selected university or college in Europe. Fundacom is a non-profit foundation integrated for twelve main profesional communicaiton associations in Ibero America, representing more than 8.000 communication executives and practitioners. It aims is to enhance the work of practitioners as key executives in the business management of the XXI century across the Spanish and Portuguese countries. March 8, 2018 – For Women’s day, the Institute for Public Relations has published an article by Ángeles Moreno and Ralph Tench on the gender research from the European Communication Monitor and the Latin American Communication Monitor. 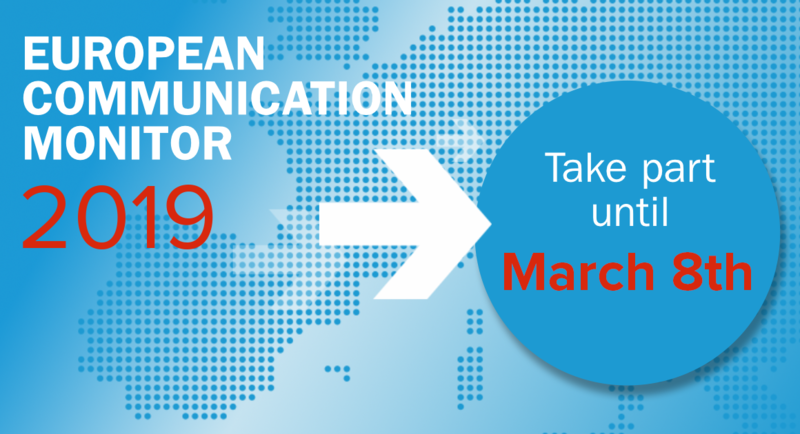 Practitioners working in communication departments and agencies across Europe are invited to take part in this year’s European Communication Monitor (ECM). The online survey is available at www.communicationmonitor.eu. The ECM is known as the largest scientific study of the profession worldwide. It has been identifying trends in the profession for more than a decade. Its annual reports provide invaluable insights for leaders in the field. The ECM 2018 also marks the start of the next exciting phase for this joint endeavour of academia and practice. The data gathered in Europe will be complemented by similar surveys in Asia-Pacific, Latin America and – for the first time – in North America. With more than 80 countries covered and 50,000 participants to date, the Global Communication Monitor series is the only truly global study of strategic communication. Ansgar Zerfass, Chair Professor at Leipzig University and leader of the study series, says: “We are proud that the leading universities and researchers in all major countries are active collaborators of this initiative. This helps us to take an informed international perspective. Renowned and strong partners from the profession assure that we explore relevant topics and that filling in the survey is inspiring for respondents.” All results of the studies are available for free. A new website with reports, publications, videos and interactive self-assessment features will be launched later this year. The European Communication Monitor is organised by the European Public Relations Education and Research Association (EUPRERA), representing almost 500 academics in the field, and the European Association of Communication Directors (EACD), a membership organisation of leading professionals, both headquartered in Brussels. It is supported by premium partner PRIME Research, a global leader in communication research and a member of the Cision Group, as well as Fink & Fuchs, Wiesbaden, as digital communications partner. The academic team running the survey includes professors from 23 renowned universities ranging from Amsterdam to Madrid and Milan to Moscow, with new colleagues e.g. from Vienna, Lisbon, Louvaine and Zagreb joining the team for the next years. Practitioners filling in the questionnaire at www.communicationmonitor.eu will receive a full report of the results. They can also participate in a prize draw for 5 Amazon Echo Dots. Privacy is fully respected and participants cannot be identified. The European Public Relations Education and Research Association (EUPRERA) is an autonomous organisation with nearly 500 members from 40 countries interested in advancing academic research and knowledge in strategic communication. Several cross-national and comparative research and education projects are organised by affiliated universities. In order to spread new methodologies and research results, EUPRERA organises a highly regarded Annual Congress each autumn in collaboration with a selected university or college in Europe. The European Association of Communication Directors (EACD) aims to attract, inspire and engage current and future communication leaders to drive excellence in our profession. We offer communication professionals a platform to connect, deepen their expertise, share best practice, establish and promote relevant standards. The Association also publishes leading content through its magazine, Communication Director. The EACD currently has more than 2,000 members. PRIME Research is a global leader in strategic communication research with operations in nine research hubs and serving clients in 35 countries in the Americas, Western and Eastern Europe, the Middle East, Africa, Australia and Asia. PRIME leverages its corporate and brand reputation research expertise to foster better communications and business decision-making. As a specialist for the communication of change and technological transformation, Fink & Fuchs has been the strategic partner for companies, associations and public clients for 30 years. The communications agency employs 80 people in Wiesbaden, Munich and Berlin. It is one of the three most recommended agencies in Germany (brand eins, Statista-Ranking) and has been awarded three times as the agency of the year (PR Report / Holmes Report). Its more than 60 customers include Cisco Germany, Computacenter, Hasbro, Mobotix, Salesforce, Schott, Techem and federal authorities and ministries. Fink & Fuchs helps shape the further development of the communications industry in the presidium of the GPRA agency association. For the fourth annual edition of the Top 10 Research Insights of 2017, the Institute for PR did something different and added an 11th study: “we believe every single one of these research studies have some great learnings for the profession”. This report is based on the studies’ rigor of methodology, findings, relevance to practice and accessibility. And this year we are happy to see the European Communication Monitor, conducted by EUPRERA and EACD and lead by Ansgar Zerfass, classified in the 5th place! The fourth edition of this report encompasses research ranging from fake news to the growth of digital and the impact of automation and artificial intelligence. Each year the IPR Board will continue to present top research insights that uncover the science beneath the art of public relations™.